Mission Bay Aquatic Center Blog: Camp registration now open! 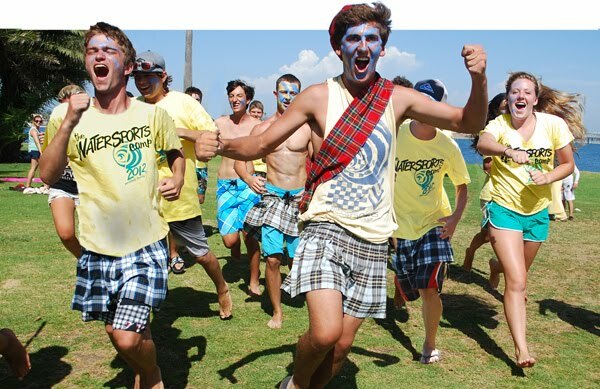 Registration for the 2013 season of The Watersports Camp is now open, and with spring camp right around the corner, now is the perfect time to sign up. Believe it or not, some of our most popular camps in July are already filling up so you'll want to register ASAP to ensure your spot. Campers who will be 14 years of age after June 1, 2013, and who wish to become a Counselor-In-Training (CIT) this season should visit the CIT webpage at www.watersportscamp.com/cit to review the requirements and to get information about the mandatory orientation meetings coming up in March. Whether you are a wakeboarder or kayaker, spring camper or summer camper, a returning CIT or a future first-time camper, we are looking forward to seeing you at camp soon. We're so excited for another great season to start and we hope you are too!